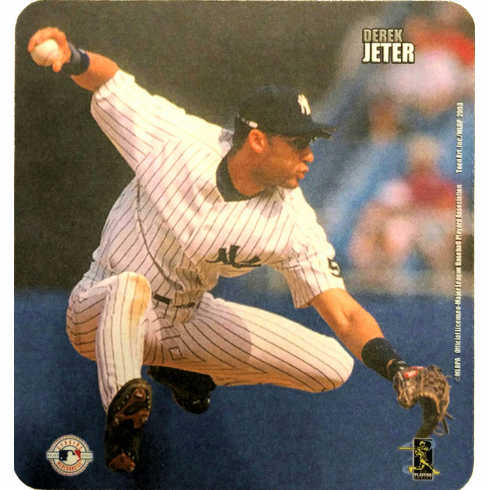 These 7.75" x 7.5" mousepads feature Yankees Captain Derek Jeter in action. A perfect addition to any Yankees desk or computer area. Deluxe quality, precise tracking, non-skid base.